Get ready to put America’s best performance hot-hatch in your garage. This giveaway’s grand prize is an extremely low-mile 2017 Ford Focus RS with $20K of performance and cosmetic modifications. 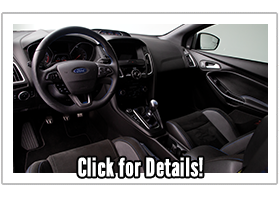 This Ford Focus RS grand-prize is a serious road warrior and the pinnacle of Ford hot-hatch performance. It features a 450 horsepower 2.3L Ecoboost engine, all-wheel drive, a six-speed manual transmission, Brembo brakes and a Quaife limited-slip front differential. 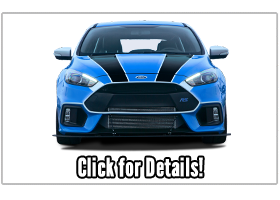 Whether you turn this tarmac-taming tuner into the coolest-looking gas-sipping commuter car in America today, show off its custom Nitro Blue paint at car shows, or get it on a autocross or racetrack for some adrenaline-fueled action, this grand-prize Focus RS is a mint condition machine you’ll be proud to put in your garage. 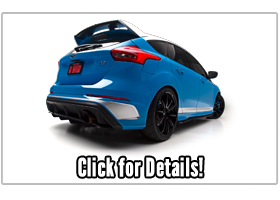 Enter and win and you’ll bring home a spectacular 2017 Focus RS with $20K of professional modifications, including over $7,000 in custom paintwork, upgraded exhaust, aftermarket wheels, Toyo performance tires, a 4-point bolt-in roll bar (winner has the option of accepting the prize without the roll bar), performance sway bars and a coilover suspension. 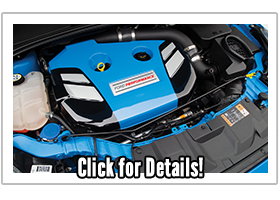 This grand-prize 2017 Focus RS has extremely low miles and comes with heated Recaro power front seats, power moonroof, tinted glass, a wing spoiler, a factory 10-speaker Sony audiophile-quality sound system and the original window sticker. If you’re the winner, we’ll pay $10,000 for the taxes and fly you to Clearwater, Florida, to accept the prize. Enter now.